An oral and maxillofacial surgeon is a highly trained specialist who is qualified and competent for surgical management and treatment of any deformity, injury or any defects that may affect the oral and maxillofacial region. An oral and maxillofacial surgeon deals with both aesthetic and functional issues of the oral and maxillofacial region. Oral and maxillofacial surgeons are highly proficient in dealing with issues of dento-facial features, neck, jaws and the mouth. The procedures which are carried out by oral and maxillofacial surgeons include but are not limited to surgery for cleft lips, correction of congenital dento-facial deformities, facial implant surgery, excision, reconstructive surgery post-excision, corrective jaw surgery or Orthognathic surgery etc. Oral and maxillofacial surgeons prepare the base for reconstruction by using dental and facial implants. Sometimes, in addition to facial implants, bone grafting may also need to be performed for complete corrective treatment. An oral and maxillofacial surgeon plays a huge part in correction of the facial features by making the use of facial implants. Facial implant surgery is a complicated surgery because it involves the reshaping of the midfacial area and the lower thirds of the face by altering the soft tissue distribution and adjusting the different anatomical regions of the face once the implants are situated in the desired position. The surgical evaluation which is carried out by an oral or maxillofacial surgeon is critical because the implant which will be used will be according to the distribution of the soft tissues and the various facial high-points and landmarks. A maxillofacial surgeon uses facial implants in case facial augmentation is needed. The job of a maxillofacial surgeon becomes very crucial because he has to navigate the placement of implants for the expected outcome and make the decision about the shape and size of the implant which also a decisive factor in the end result. Any bone or tissue anomalies can be handled well by an experience maxillofacial surgeon. The anatomical architecture depends largely upon the shape and structure of an individual’s nose, the shape of the mandibular region and the proportions of the malar. The inter-structural proportions of these features along with the layout of the soft tissues determine the overall proportions of the face and the consequent facial harmony. Facial implants surgery is often carried out by maxillofacial surgeon because people want a more convex mid facial area with a sharp and proportionately bold jaw line. Balance of the nose with mandible and the malar area can be restored with the help of facial implants. The nasal prominence can be altered to enhance and also well define the malar prominence and the mandible. What does an implant surgery involve? Surgical procedure for facial implants begins with a three dimensional evaluation of the facial features which is indispensible because the outcome of the evaluation helps the surgeon in choosing the correct implant for the procedure. Also, since the facial augmentation outcome is also in three dimensions, the evaluation helps in better understanding of the anatomical anomalies in a patient’s facial structure. Facial configuration and facial deficiencies are also identified before the facial implant surgery is carried out by the maxillofacial surgeon. Sometimes, a surgeon may alter the shape, size or change the material of the facial implants intra-operatively also. This can happen because all faces are different and the final contours of the face can be optimized by customizing the facial implants completely according to a patient. The decision of the surgeon about the implant can dictate the outcome of the surgery and if the right implant or the procedure is not chosen, suboptimal results are inevitable. Before the facial implant surgery is carried out, the patient is put on antibiotics. To ensure that the patient’s expectations are truly understood by the surgeon, a good surgeon can communicate the surgical procedure and indicate the outcome with the help of facial markup. The placement of the facial implants is considered to be successful if the external topographical defects are completely compensated by the surgery. 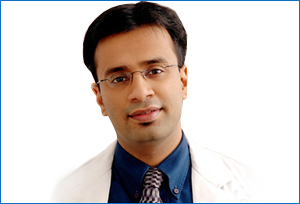 Why choose Dr. Debraj Shome as your maxillofacial surgeon in India? Most of us are not even aware about our facial deficiencies and asymmetries which are only detectable by a trained medical eye. Analysis of facial asymmetries is crucial for a facial implant surgery, so you have to choose a surgeon who can comprehensively analyze your facial structure before the surgery. Inter-operatively, a maxillofacial surgeon compensates all facial discrepancies in three dimensions which require excellent dexterity and a very skilled hand. Dr. Debraj Shome is one of the most influential and experienced maxillofacial, facial plastic and cosmetic surgeons in India who has his own very successful practice, known as The Esthetic Clinics, in Mumbai. Recipient of numerous awards which are a proof of his experience and credibility, he has ensured that his patients who come to Mumbai, always are completely happy and content with the outcome of the treatment. The Esthetic Clinics in Mumbai have been awarded numerous times for the brilliant surgical procedures that are carried out by Dr. Debraj Shome. His qualifications and experience have earned him the distinction of being the ‘Best Plastic and Cosmetic Surgeon of India’ innumerable times. He is based in Mumbai but his talent and expertise have made him a globetrotter. The value of his expertise is inestimable and this fact is reinforced by several top hospitals of India where he visits as a consultant. How much does a maxillofacial surgery cost? The cost of a maxillofacial surgery will all depend on the hospital or the clinic and the surgeon that you choose. The cost of treatment will vary greatly from one clinic to another but if you need to undergo a maxillofacial surgery, we would suggest that you should not undergo substandard surgery for cutting down on costs. A poorly executed maxillofacial surgery can lead to a lifetime of consternation and can cost you your looks forever. An oral and a maxillofacial surgeon should be able to remove impacted, damaged and non-restorable teeth without changing the facial appearance. An maxillofacial surgeon in Mumbai will be able to perform successful reconstructive surgery after removing any tumours in face and neck area including jaw and mouth. If there are any genetic or accidental disorders in joint (TMJ) then the oral and maxillofacial surgeon will be able to correct them easily. If there are any infection in your oral cavity, jaws, neck or salivary glands then you need to visit an oral and maxillofacial surgeon in Mumbai. Maxillofacial surgeon in Mumbai will be able to successfully correct any abnormalities involving the mouth, neck and face area which might prevent you from eating normally. In some people there are some misalignments in the jaw that can cause an imperfect bit. An oral and maxillofacial surgeon in Mumbai will be able to correct this problem in the jaw. Maxillofacial surgeon in Mumbai can also work on various congenital defects such as cleft lip, jaw growth etc. Oral and maxillofacial surgeon in Mumbai treat oral cancers. Oral and maxillofacial surgeon in Mumbai are experts in treating facial lacerations, intra oral lacerations and even fractured facial bones. Oral and maxillofacial surgeon in Mumbai will be able to perform various cosmetic and dental surgeries to give you the necessary and desired chin and cheekbone augmentation.